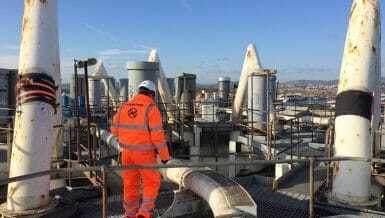 In the recovery and transportation of combustible products, the generation and build-up of electrostatic charges can pose a significant hazard to personnel and equipment if correct static grounding precautions are not put into action. The relative motion and interaction of different materials leads to the instantaneous combination and separation of positive and negative charges. If these charges do not have a means to dissipate from the objects or materials they come into contact with, i.e. flow to true earth (ground) or share charge with available opposite charges, they become “static” and raise the electrical potential difference of the object or material on which they are accumulating. This can cause a static spark to ignite the combustible atmosphere around and on the vehicle, potentially creating a serious explosive incident. Most chemical processing sites have designated grounding points to which trucks must be connected prior to transferring product. Normally, these sites follow a strict policy of adhering to the standards whereby electricians regularly check the resistance of the grounding points prior to every transfer process ensuring they have not degraded because of environmental and industrial life-cycle effects. 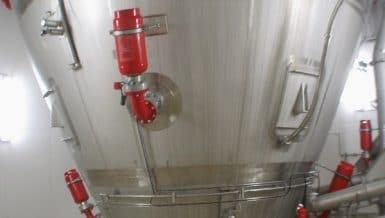 In tank cleaning operations, vacuum trucks are often located beyond a perimeter surrounding the tank to ensure hazardous vapours are not at risk of being ignited by hot surfaces on the vacuum truck or its equipment. 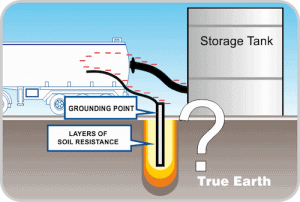 In these situations, the recovery team may need to bury grounding rods or connect to surrounding objects buried into the ground that do not have a pre-verified static grounding connection to earth. In hazardous material recovery operations, for example sucking up spillage from road & rail incidents, designated grounding sources are not available to ground the truck. 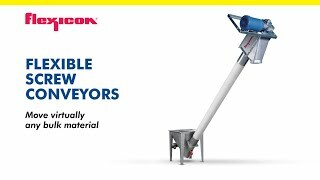 In such events, the recovery team must bury rods in the ground and take resistance readings of the rods to ensure they have a secure connection to true earth. 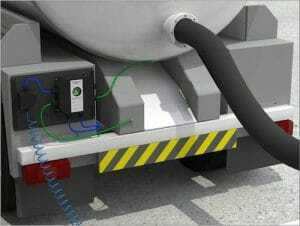 For retail petroleum and gas distribution and the food and beverage industry, many point-of-delivery destinations do not have static earthing systems installed and the best the transporter can expect is that there is a designated earthing point to which he can connect the delivery truck. However, he will have no means of confirming whether or not the grounding point has a low resistance connection to earth.